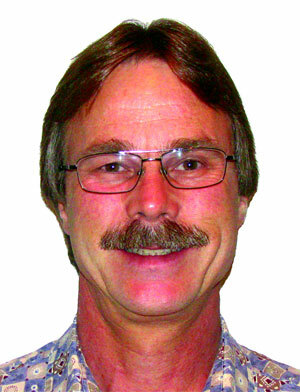 AdEdge Water Technologies recently announced Doug Craver has joined AdEdge as Western Regional Sales Manager. Headquartered in Scottsdale, AZ, Mr. Craver will be responsible for AdEdge sales in California, Arizona, New Mexico, and Nevada. Mr. Craver brings more than 30 years’ experience in the water treatment industry, serving in capacities ranging from application engineering, system design, sales, and system start-up. Technologies applied throughout his career include specialty filtration, reverse osmosis, seawater desalination, ultrapure water, ultraviolet disinfection, ozonation, industrial wastewater, onsite wastewater, municipal wastewater treatment/odor control and pump systems. In addition his field experience includes pilot testing, construction oversight, construction quality assurance, and operation and maintenance of facilities, processes, and process equipment. “We are extremely pleased to have Mr. Craver join the AdEdge team,” said Greg Gilles, Vice President, AdEdge Water Technologies. “His addition continues the exceptional growth AdEdge has achieved over the past few years. His breadth of experience with a variety of water treatment technologies and applications and his presence in the Western U.S., will further the AdEdge commitment to providing high quality treatment solutions supported by high quality professional individuals to customers in that region”. Mr. Craver has traveled extensively throughout the Southwest and has significant International Business Experience, having traveled to over 30 countries throughout the world. Mr. Craver earned a BS degree in both Aquatic Biology and Chemistry from Northern Arizona University in 1981. Headquartered just north of Atlanta, Georgia, USA, AdEdge Water Technologies LLC specializes in the design, development, manufacturing and supply of innovative water treatment systems that remove contaminants from process or aqueous streams. AdEdge offers a full range of conventional and innovative treatment technologies to achieve tough standards including adsorption, metals precipitation, coagulation, filtration, clarification, ion exchange, advanced oxidation, and membrane based solutions.